The coupling capacitor CG blocks the high DC voltage at the plate of the driving tube while allowing audio signals to pass. Unless bass attenuation is desired, the capacitor needs to be large enough to induce very little signal attenuation at bass frequencies. (82Hz is the lowest note on a guitar with standard tuning.) It shouldn't be too large, however, or unwanted effects like blocking and motorboating may ensue. The calculator plots gain versus frequency based on the output impedance of the driving stage, the capacitor value, and the volume control setting. 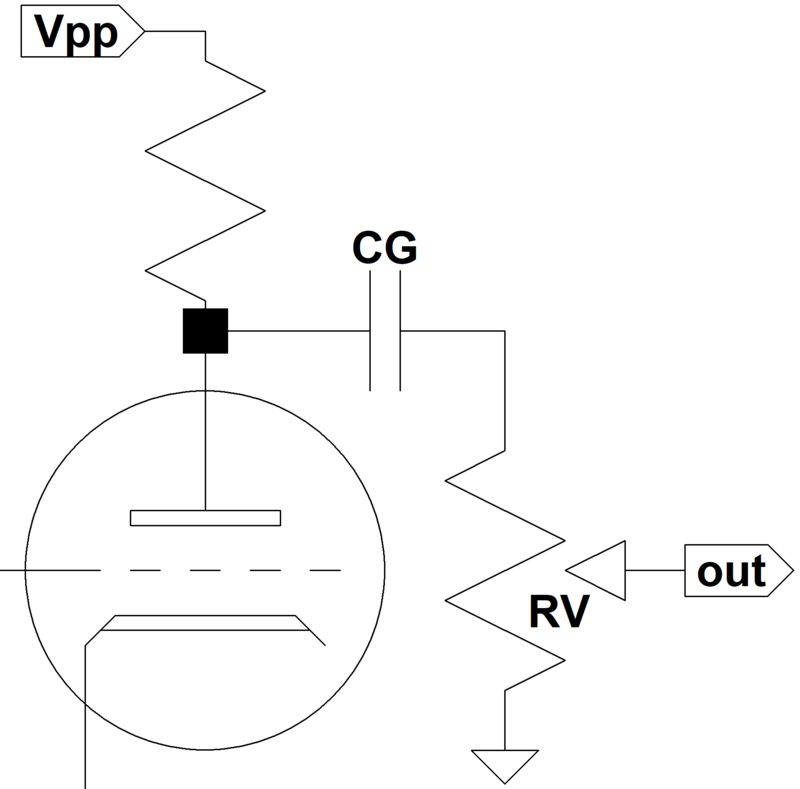 If RV is a fixed resistor, set the control setting to 100 percent.